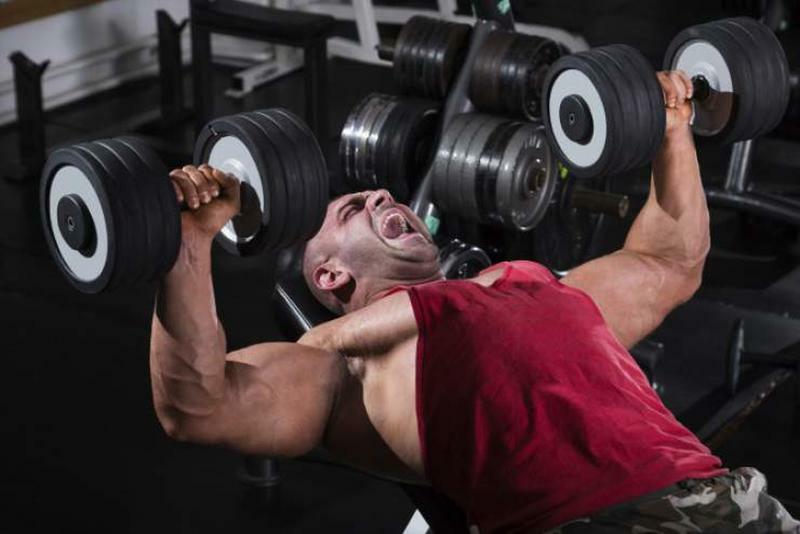 Are you the kind of person who swears loudly in the gym while you're lifting? If so, new science shows that being the most obnoxious person in the weight room may actually increase your gains. Good news for you, and bad news for the rest of us. New research presented to the British Psychological Society's annual conference shows that swearing improves athletic performance. Two separate studies appear to corroborate this thesis. In one study, researchers examined how cursing affects cycling performance. The research showed that people who swore out loud before they started cycling produced more power than the people who did not swear. In the other study, people were subjected to a similar experiment in which one group was asked to curse out loud before doing a hand grip test. The vulgar group outperformed the silent one. The new findings aren't without precedent in the scientific literature. Previous research has demonstrated that cursing elevates your pain tolerance. This may be due to a relationship between vulgarity and the sympathetic nervous system, which regulates the fight-or-flight response. Other science even goes so far as to suggest that cursing may improve intelligence. Interestingly, no relationship was determined between cursing and heart rate / blood pressure. Science does not understand exactly why yelling swear words would lead to performance enhancement. People go to all kinds of insane lengths to improve their gains at the gym. If you're already guzzling down expensive pre-workouts, creatine, protein powder and any number of hundreds of other supplements currently on the market, you might want to add vulgarity to your stack. Hopefully this does not usher in a new era of everyone in the gym screaming four letter words throughout their workouts. There's already enough of that. And hopefully these studies don't produce follow-up research into the performance enhancing benefits of dropping barbells from the top of a deadlift, or not wiping down machines and benches after you use them, or rapping along with your iPod out loud while you're lifting. Swearing is, of course, no replacement for a well-designed exercise program that incorporates progressive overload. It also can't make up for a bad diet, lack of motivation and lack of effort. But if you're to the point where your gains are plateaued, you might as well try swearing. Maybe just go out into the parking lot before you let loose at full blast. Or don't. Stay alpha.